Wow, these all sound incredible. We can't decide which one to try first! It’s common knowledge that breakfast potatoes are a delicious part of a savory breakfast. However, if your brunch spud of choice is a side of home fries or a hash brown from a fast food restaurant, you’ve been missing out! 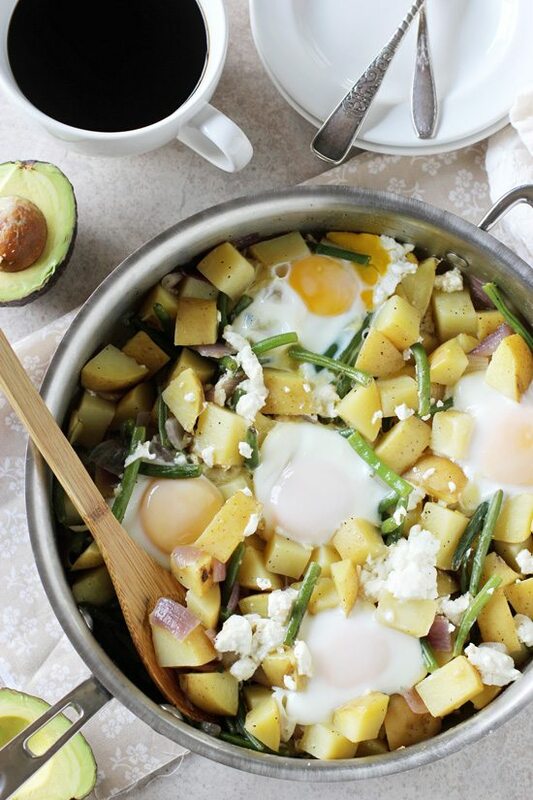 Potatoes are even more delectable once they’ve been elevated from mere side dish to the star of the meal, like with these healthy potato-centric breakfast recipes below. So, start your day off right by enjoying one these breakfast entrées. They’re so tasty and good for you; you won’t ever want to eat frozen, pre-made breakfast ever again. 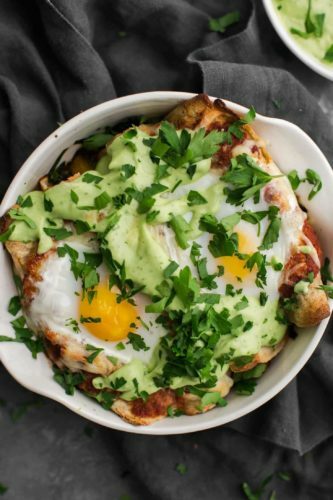 With its winning combination of fried eggs, shredded baby spinach and roasted potatoes tossed in a olive oil, cumin and smoked paprika blend and smothered with an avocado and cilantro sauce, these breakfast enchiladas from Naturally Ella can turn breakfast time into fiesta hour. 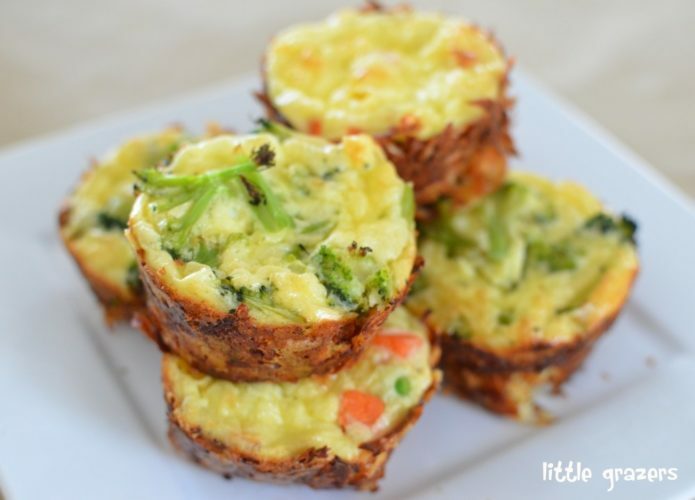 These easy mini quiches from Little Grazers are simple and quick to make. Plus, in addition to eggs and cheese, you’ll love that you can customize the filling with any leftover veggies you have in your refrigerator. 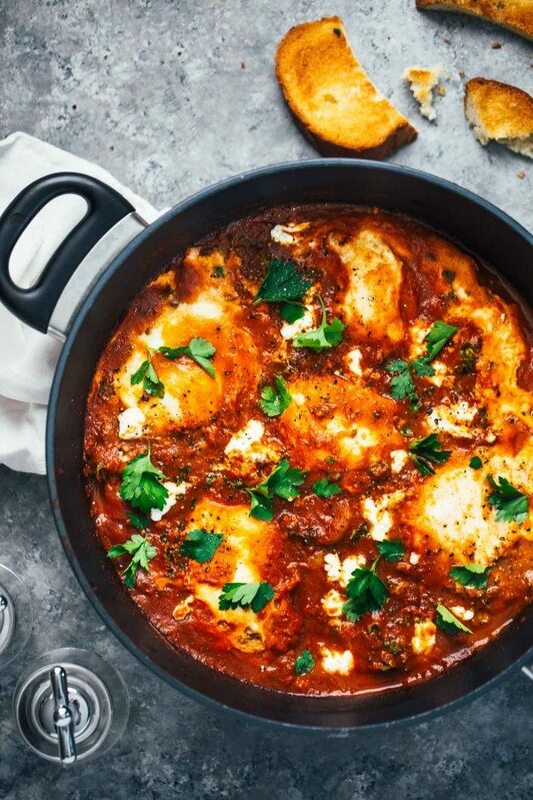 One skillet and a half-hour of your morning is all that is needed to make this scrumptious breakfast dish, courtesy of Cook Nourish Bliss. Who says pizza is only for dinner? 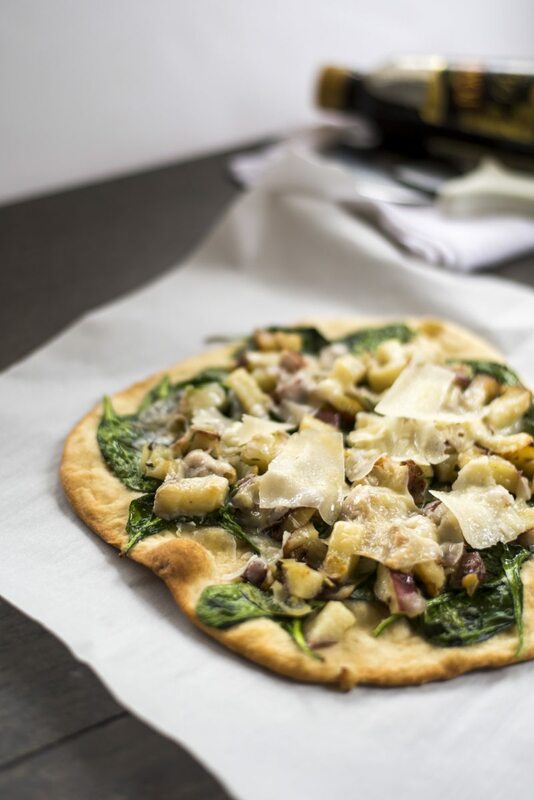 With this healthy recipe from Homegrown and Healthy, you can eat pizza for breakfast and not feel guilty about it! Like a little heat with your eggs and potatoes? Then this recipe from Pinch of Yum delivers in the form of ancho chili powder in a homemade tomato simmer sauce. Add in some eggs, potatoes, kale and goat cheese, and you have a truly awesome breakfast. 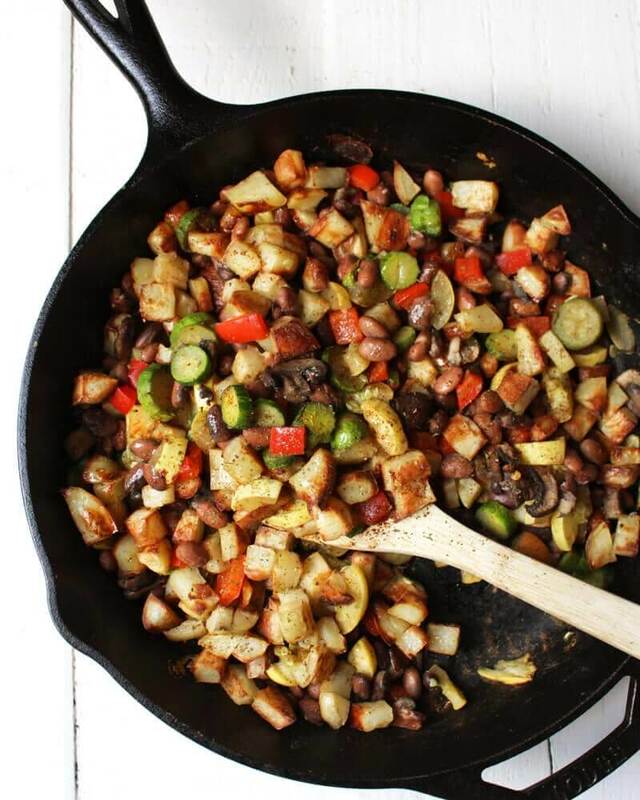 This vegan breakfast hash from Karissa’s Vegan Kitchen is chock-full of healthy ingredients like pinto beans and veggies like potatoes, mushrooms, zucchini, bell peppers, squash! Add in some salsa, and you’ll have given it southwestern flair. Best of all: you can cook it all in the oven, using only one dish. RELATED: Need some dinner ideas too? Here are five freezer meals you can make in under an hour!